HomeENVIRONMENTWill Congress End the Era of Unlimited, Untested Chemicals and Reform TSCA? Like all Americans of my generation, I came of age in a sea of industrial chemicals. From the stain-resistant carpeting under my feet and the plastics of the computer I’m typing on, to the clothes I’m wearing, industrial chemicals are used in most every consumer product you can think of. While we all appreciate and rely on many of these products, they’ve introduced hundreds of toxic chemicals into our homes, workplaces, schools and our bodies. Consider that 10 trillion of pounds of chemicals are produced annually in America—including billions of pounds of certain toxic chemicals like formaldehyde, benzene and bisphenol-A(better known as BPA). Most Americans assume that the government requires that chemicals be shown safe before coming onto the market and into our homes, but that couldn’t be further from the truth. But the era of unlimited, untested chemicals may be about to come to end. Congress is about to vote on a major reform of America’s main chemical safety law, the Toxic Substances Control Act (TSCA). 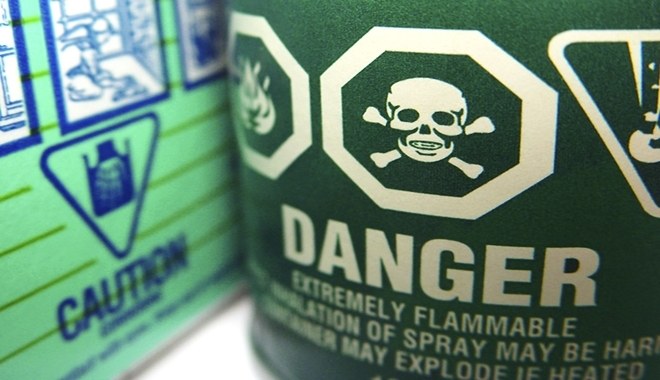 Passed nearly 40 years ago, TSCA was weak to begin with and is now badly broken. It allowed the 62,000 chemicals in use at the time to remain on the market, simply assumed to be safe. The law set the bar for regulating a chemical so high that the U.S. Environmental Protection Agency (EPA) can’t restrict even well-established hazards like asbestos—which remains legal in America—or ensure the safety of hundreds of new chemicals coming onto the market each year. The result is that in nearly 40 years, the EPA has required testing on fewer than 300 chemicals and regulated only five chemicals under TSCA. As we learned more about the health risks posed by certain chemicals—including cancer, reproductive problems and developmental issues—people around the country started to demand action on harmful chemicals. And in recent years, state legislatures and major companies have responded by banning a number of high profile chemicals in some products. The result was not only stepped-up attention on toxic chemicals, but also a kick in the pants for an industry that had previously relished the lack of federal regulation. Thanks to activist pressure, companies found themselves at risk of losing hundreds of millions of dollars if a chemical in one of their products were targeted by a state or retailer. Many companies decided they could accept more federal regulation if it resulted in a predictable system that restores consumer confidence in the safety of their products. That presented a political opportunity for savvy legislators: a rare, but powerful alignment of interests that could benefit both bottom lines and public health. Progressive champion Sen. Tom Udall found an opportunity to work with staunch conservative Sen. David Vitter. The powerful environmental advocate Sen. Sheldon Whitehouse found himself aligned with climate skeptic Sen. Jim Inhofe. The result is a strong bipartisan compromise now before Congress, the Lautenberg Act. The bill would require review of chemicals in use today and improve scrutiny before new ones are allowed on the market. It requires protection for vulnerable populations like children, pregnant women, workers and those living in highly polluted communities. It would provide the EPA with greater ability to require testing of chemicals and to restrict known dangers like asbestos. Progress required legislators to harken back to an earlier era, to take some political risk and work to find agreement with Members with opposing views. The bill certainly remains a compromise and the new law won’t fix the problem of toxic chemicals overnight. We’ve dug ourselves a deep hole and there are thousands of chemicals that need review. But we have to start and the first step is passing this important reform.